27" NINJA SAMURAI Twin Blade MARTIAL ARTS SWORDS Katana Japanese Combat NEW | BUDK.com - Knives & Swords At The Lowest Prices! 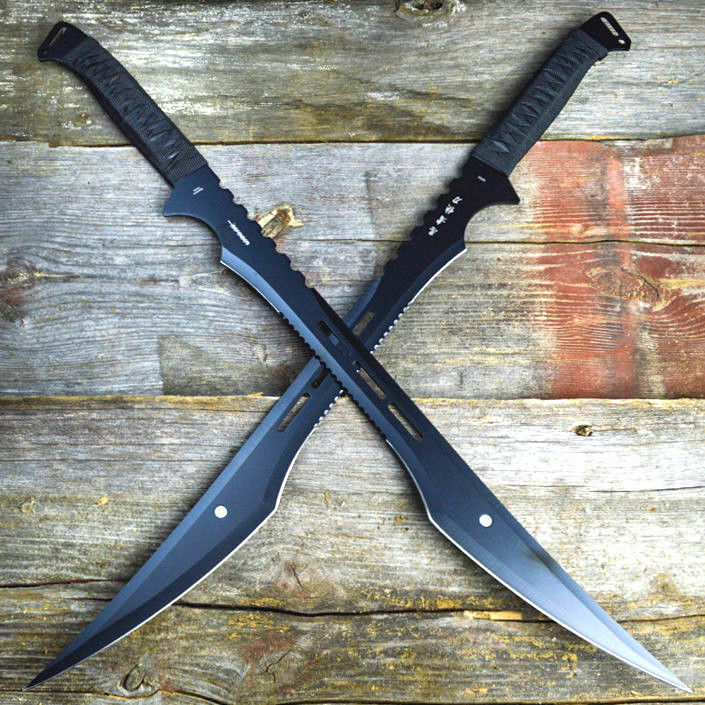 This 2pc 27" ninja sword set features a very unique set of blades that have a sleek and gorgeous black color with a comfortable nylon cord that is wrapped around the handle of the swords. You can attach this set of swords together making them great to put on display on the wall or in a case. They do come sharp, so they are perfect for slicing and dicing some pineapples in the backyard. Included with the swords is a handy sheath that allows for safe and simple carrying/storage.